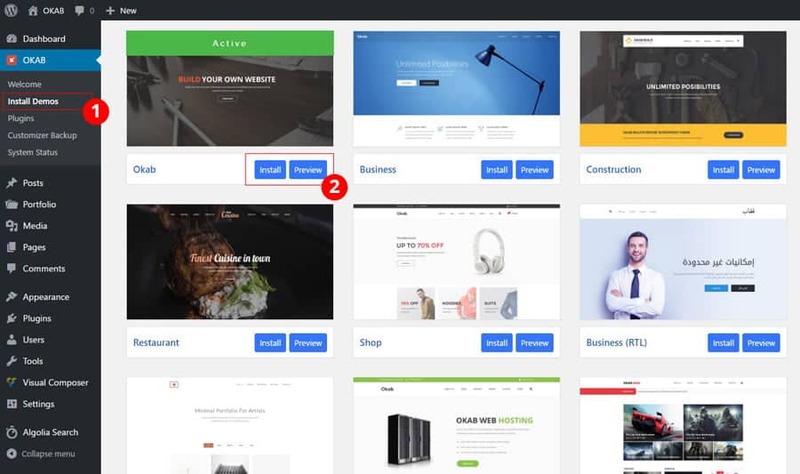 Note : It is very important to note that while the importer will not overwrite or alter any of your posts, pages, or portfolio items, your Customizer settings will be altered upon setting up a demo (this is necessary so that we can setup your installation similar to the demo). If you already have your website setup but are still curious to try out this feature, please make sure that you first backup your Customizer settings by going to the Customizer Manager page under Addons. 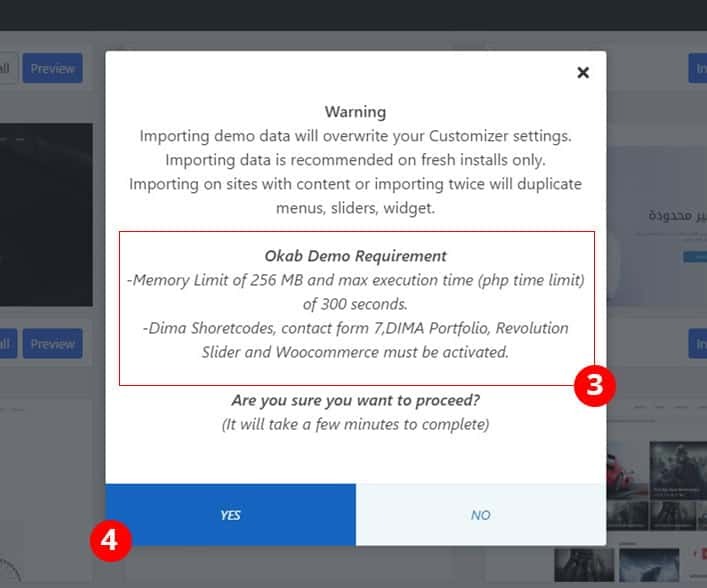 Navigate to the OKAB> Install Demos tab in your admin sidebar. Select the demo you wish to import. Click the Preview button to view the live demo, or click the Install button to import it. Go ahead and click on Yes. 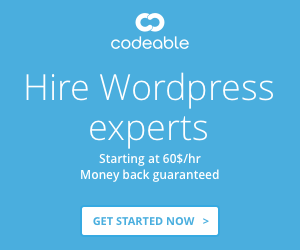 -It can take a few minutes to import everything. Please be patient and wait for it to complete. Once everything is complete, you will see a confirmation message and working message disappears. If you receive this message Sorry but your import failed. 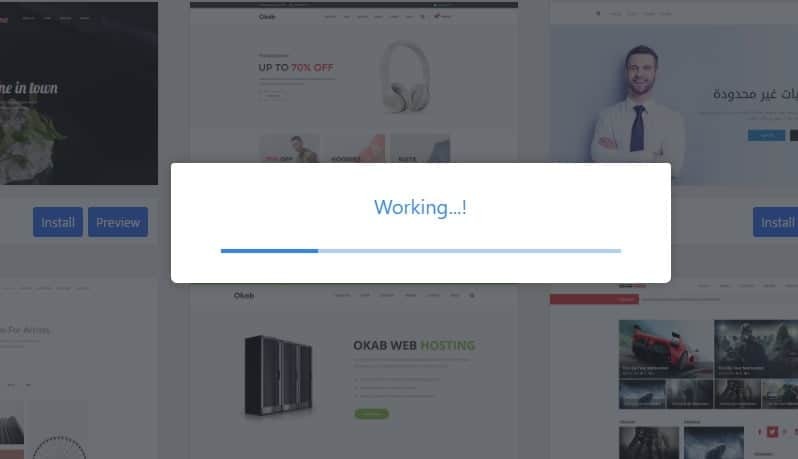 Most likely, it cannot work with your web host. You will have to ask your web host to increase your PHP max_execution_time (or any other web server timeout to at least 300 secs) and memory_limit (to at least 196M) temporarily. it is due to low server memory or execution time and your host should definitely be willing to adjust that. They have it very low if the content will not import. Contact them and explain the issue, they should raise it for you.